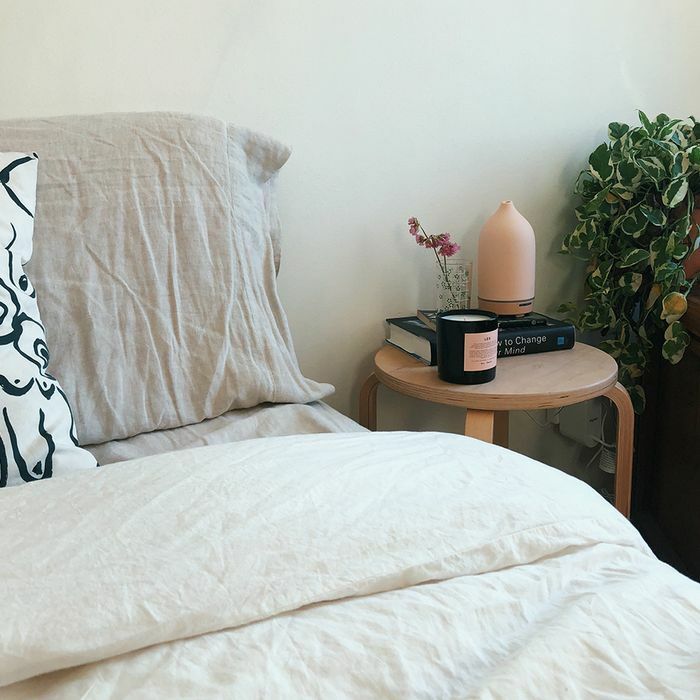 Important question: Do you consider your bedroom a sanctuary, or is it just that room where you fitfully fall asleep to Netflix? It's an important distinction to make, and not just because the aforementioned TV habit is detrimental to your shut-eye (you knew that anyway). In truth, turning your bedroom into the ultimate snooze zone is a crucial part of getting consistently good sleep. That means turning off the lights and kicking out your electronics, sure, but you can also up the ante by making some smart updates to your décor and bedside essentials. Below, we're counting down nine science-backed ways to build a better bedroom oasis. And that's especially true if you're a stomach sleeper. 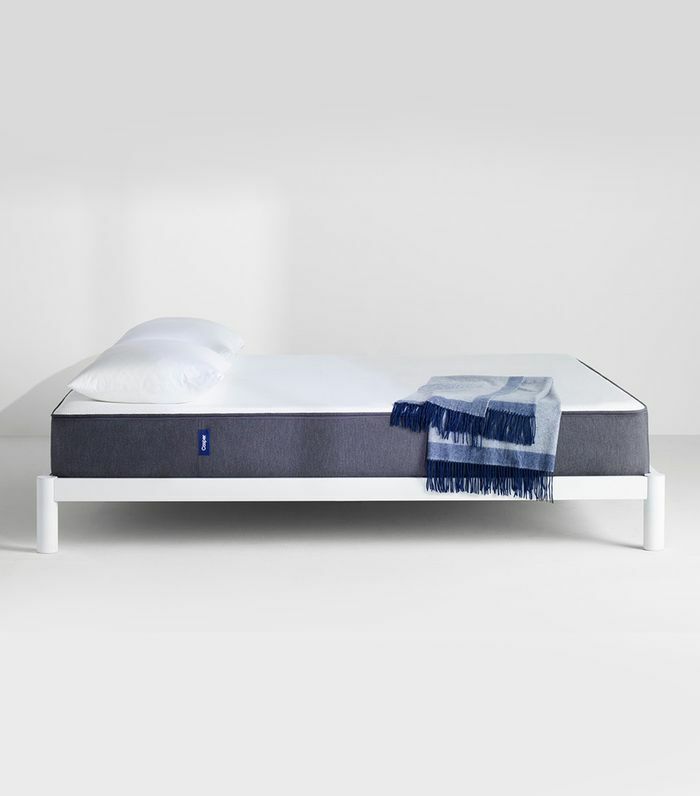 "It causes your body to bow and means you need extra support at night to keep your spine aligned," says Helix co-founder and sleep expert Adam Tishman. What makes you snooze best is ultimately up to you, but most experts recommend choosing a mattress that's firm but still conforms to your body. We're huge fans of Casper. It's an investment, but a worthy one. Any exposure to light sends signals to your brain that it's time to wake up—which puts us urban dwellers in quite the conundrum. Consider swapping your shades or curtains for the blackout variety. In a pinch, a sleep mask can also work wonders. In addition to keeping your skin nice and dewy, a humidifier will help you breathe easier and reduce your likelihood of contracting a cold or virus during the winter months. This is more for your vanity than your health, but a silk pillowcase is less irritating on your skin and can help keep your curls (or blowout) intact. Again, regulating your body temperature is crucial for optimal sleep, and your linens definitely play a role. Opt for a light, breathable fabric to avoid waking up in a sweat. The goal here is basically to assault all your senses with sleep signals, and fragrance is a key component. If you're into essential oils, lavender, bergamot, ylang-ylang, and cedar are all shown to relax the brain (and in turn, the body). But that's not your only option. You might burn sage or palo santo, or your incense of choice. Or if you're into candles (and I'm kind of judging you if you're not), designate one particularly relaxing specimen as your bedtime candle so that your brain makes the association. It doesn't just make for 'grammable décor. Indoor plants are actually tied to an array of health benefits—chiefly balancing cortisol, our "stress" hormone. Bonus: They also help filter out any impurities in the air. You know this already. Consider this your friendly reminder. Next up: Here's how sleeping pills actually affect your brain.